*This post contains sponsored content and affiliate links. All thoughts and opinions are my own. Happy Friday friends! I'm currently in Oklahoma for a SeneGence conference, so I'll keep this post short and to the point. Which is, this dress is amazing! 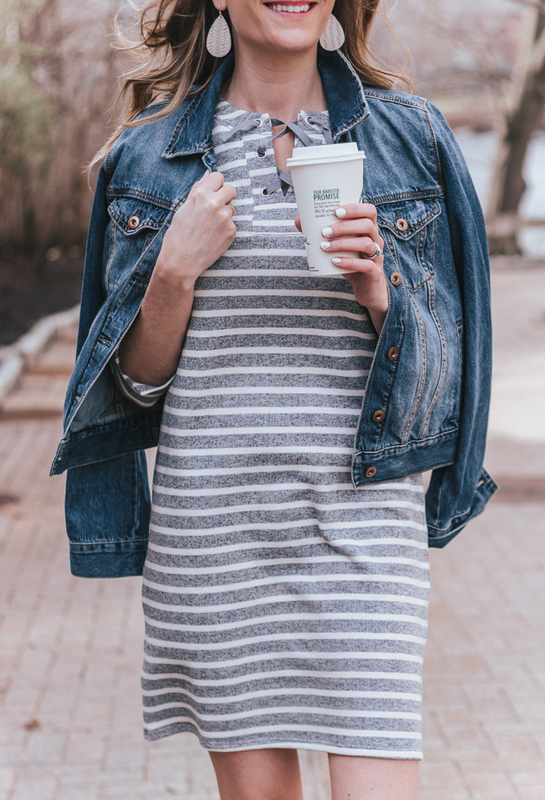 If you've been on the hunt for a comfy dress that can take you from the playground to lunch with the girls, then you need this dress! 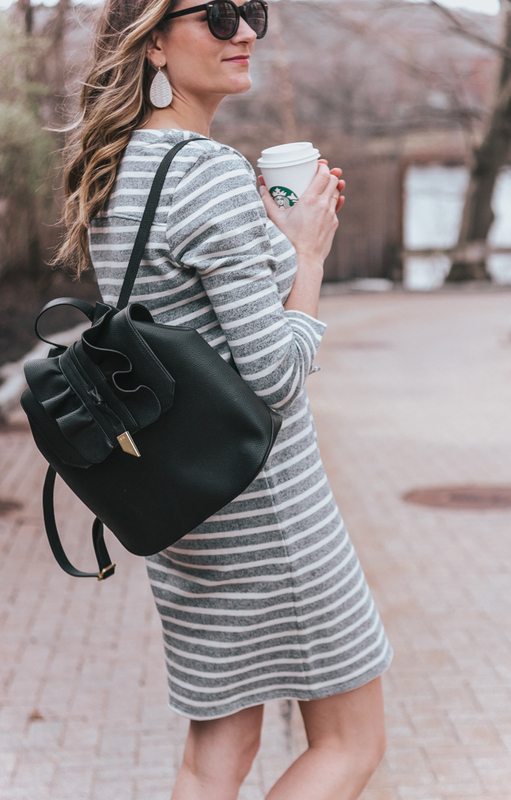 Not only is the sweatshirt material beyond cozy, but I love the lace up detail, and the fact that this dress is mom friendly. I decided to keep it super casual by pairing it with a denim jacket and sneakers. 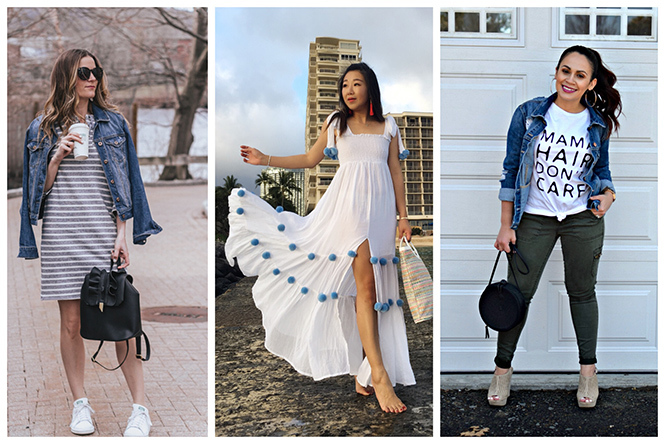 My jacket is a couple of year old from Forever 21, but I did link the updated version, along with other denim jackets that I'm loving, below. I finished my look with my Nickel & Suede earrings, which if you have been following me for some time, you know I'm a huge fan, and my new Foley & Corinna backpack. We have a co-host this week, Nina from Sharing a Journey! 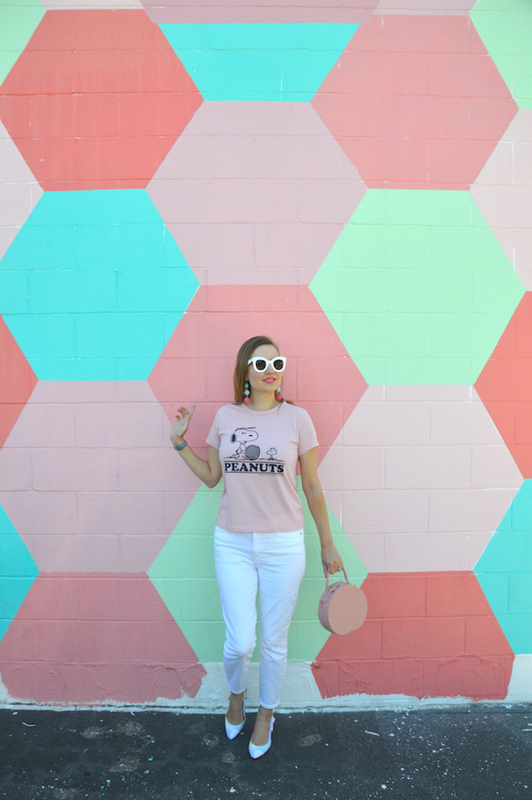 The feature blogger is Hello Katie Girl. Not only is her tee super cute, but I'm loving her seersucker shoes! Make sure to stop by her blog and say hello. Alright friends, I have a newfound love, and it's this top! 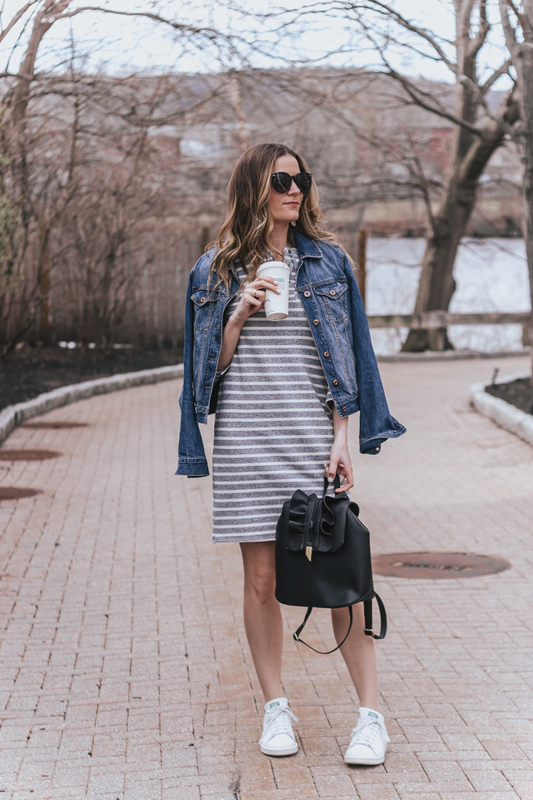 When I was browsing the Mint Julep website, I saw this tunic and thought it would be a perfect addition to my summer wardrobe. Little did I know how soft it was going to be! Seriously, it's like wearing a thin blanket. 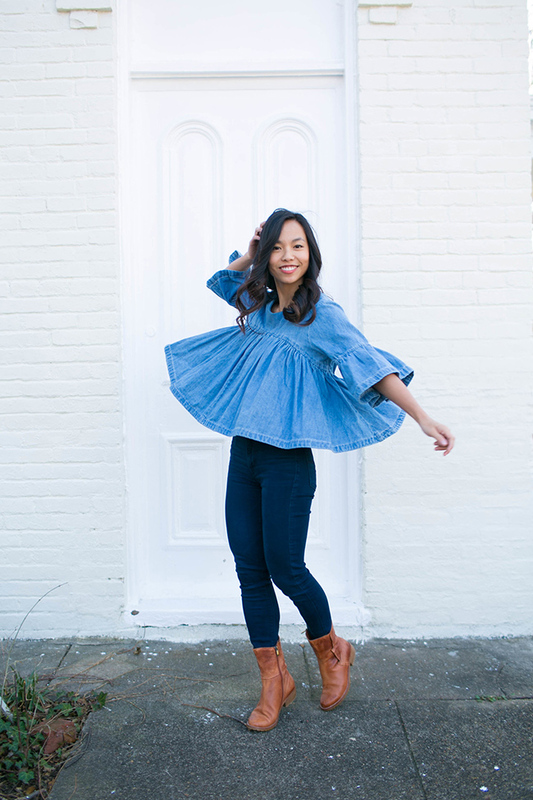 I love how it can be worn both off the shoulder, or as a boat neck top, and you can bet it will be a staple in my closet this spring and summer. 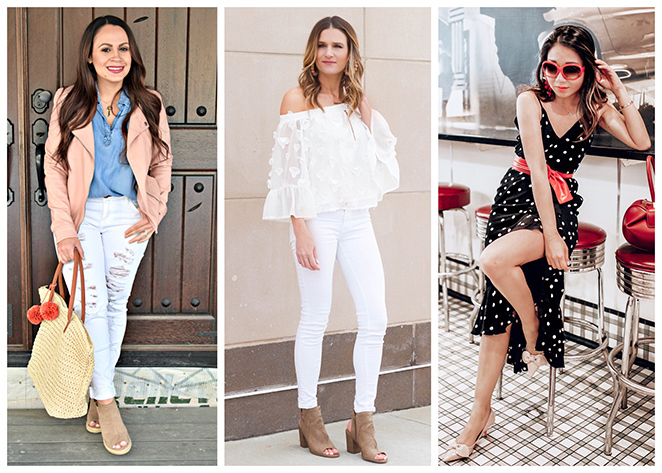 I decided to pair it with my white jeans and these adorable ruffled wedges, for an easy neutral look. I have to say these wedges are also super comfortable, and look great with both jeans and dresses. Just a note that they do run on the narrow side. 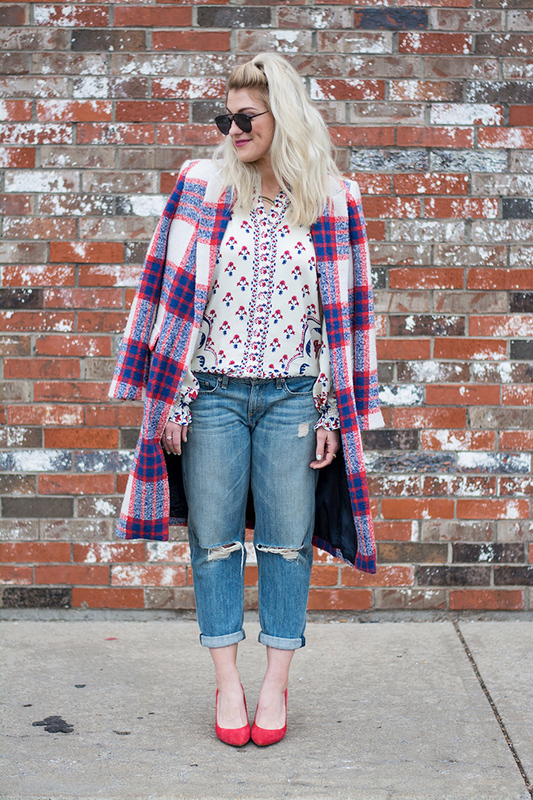 If you're looking for cute spring clothing, make sure to check out Mink Julep. There is so much on my wish list, and I'm loving the price point. Also, if you sign up to receive Mint Julep emails, you get $10 off your first purchase! 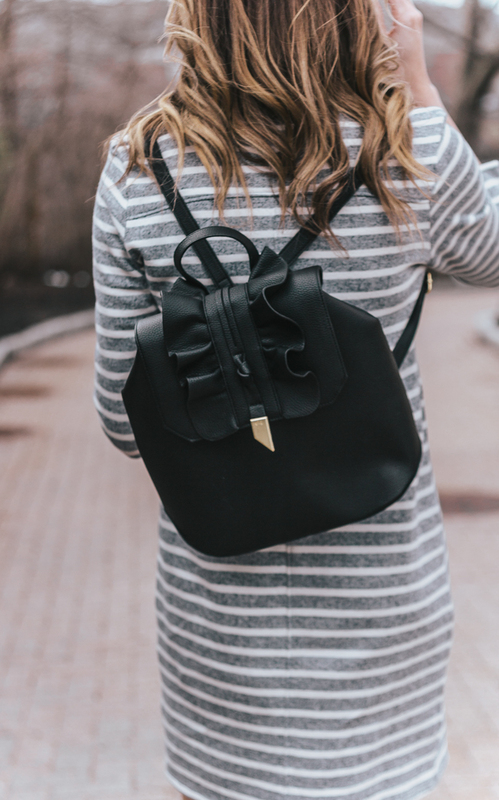 The feature blogger is Kate from Kate Style Petite. I'm loving her top, and this double denim look! Make sure to stop by her blog and say hello. 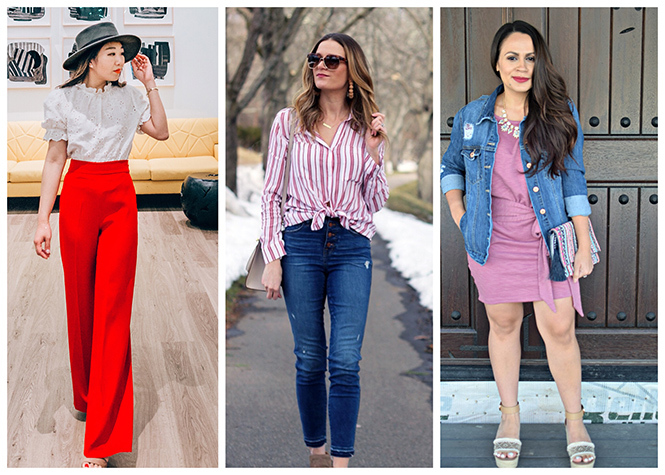 Even though spring hasn't arrived here in New England (seriously though), it's not stopping me from switching over my closet for the warm season, and adding some new spring styles to my wardrobe. 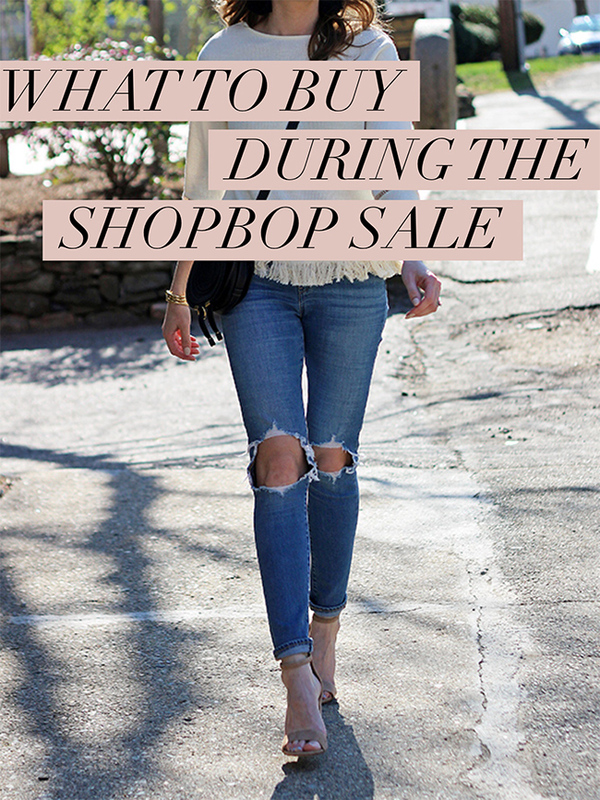 Now is the perfect time to stock up on some new spring/summer clothing as Shopbop is having their Event of the Season Sale! What I love about this sale, is that almost everything is included, and you get 20% off no matter what you spend, no minimum requirements. Spend under $500 and get 20% off your order, and spend over $500 and get $25% off with the code EVENT18. 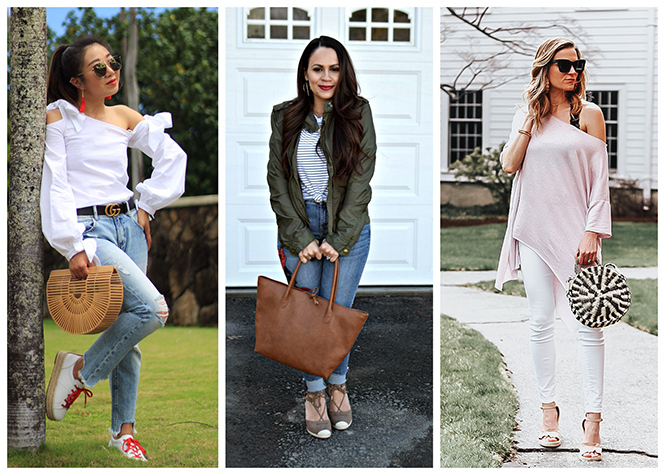 I've listed all of my tops picks below, including my all time favorite denim shorts and the bag I'm currently lusting after. Most things that I listed are on the budget friendly side, but if you have a higher price item on your wish list, then now is the time to purchase!